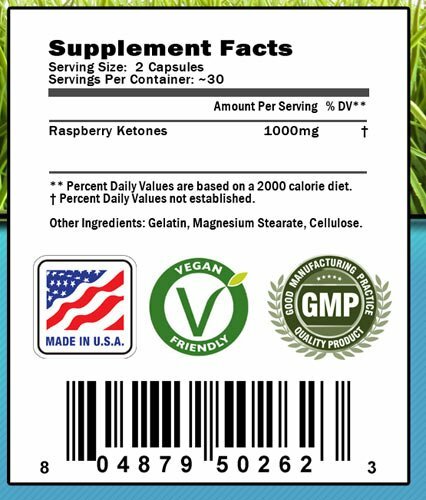 Contains a complete 1000 mg per serving of Raspberry Ketones with absolutely No fillers, No additives, and No sugars. 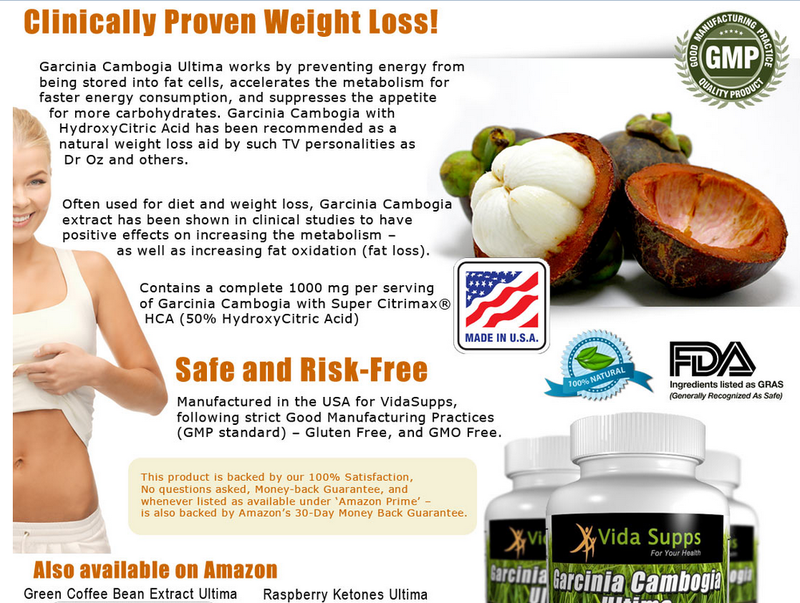 Raspberry Ketones Ultima is a diet supplement designed to get the most out of your weight loss journey. Enjoy an elevated metabolism, and a suppressed appetite to aid with fat loss. 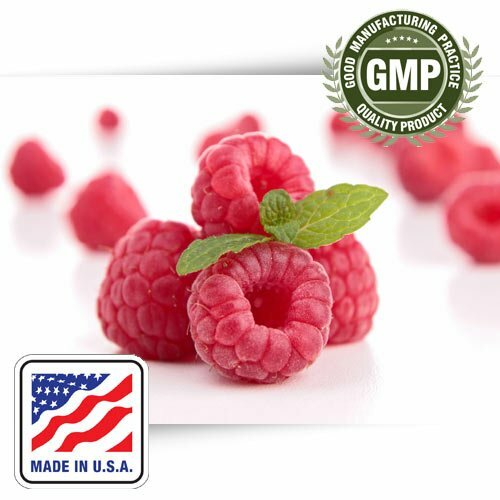 Raspberry Ketones are naturally derived from raspberries, and are normally only available in trace amounts of each berry. However, this product has a high concentrate of these ketones - which regulates metabolism proteins, known as adiponectin, in the body. Through a process known as thermogenesis - fatty acids are gradually expelled from fat stores, resulting in overall weight loss. One bottle of Raspberry Ketones Ultima provides a 30-day supply of diet pills in vegetarian capsule form. This product has no known side effects, and all ingredients are considered GRAS (Generally Recognized as Safe) by the FDA.